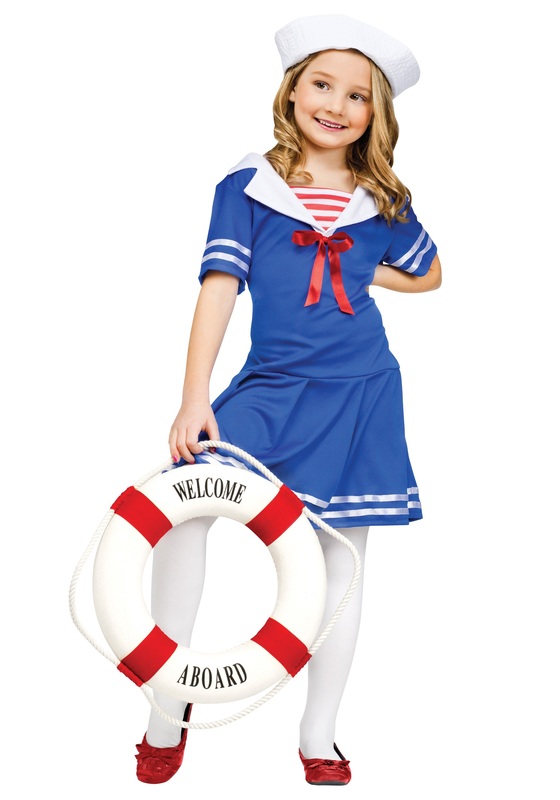 Your child is sure to be the cutest shipmate on deck when she's wearing this girls' sweet sailor costume! The nautical dress is royal blue with white ribbon trim at the sleeves, in the back and at the bottom of the pleated skirt. There is a wide, white sailor collar accented with a red bow in the front. A red and white striped inset is sewn over the chest. A white sailor hat is included as well. Add some of our kids' white stockings to this adorable seafaring look!